Edinburgh-based hotel group Apex Hotels has acquired the Marks Hotel in Glasgow's Bath Street and will invest £10.5m to relaunch it. Apex Hotels will close the 104-bedroom hotel this month to carry out an extensive refurbishment. 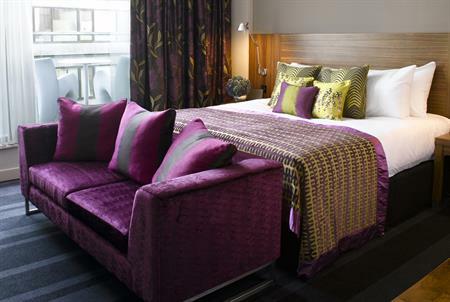 It will relaunch in the property June 2015 as the four-star Apex City of Glasgow Hotel. Ian Springford, Apex Hotels Chairman, said: "We have been looking for the right opportunity to expand into Glasgow for some time. "In terms of size and location, the Bath Street property is an ideal fit for Apex Hotels and will become a very welcome addition to our growing portfolio when it opens this summer." The announcement of the acquisition comes after Apex Hotels reported an increase in turnover and profit for 2014, with turnover up 11% to £56m. Apex Hotels currently operates eight hotels in Edinburgh, Dundee and London, and recently announced plans to develop a new 177-bedroom hotel with extensive conference facilities in Bath.